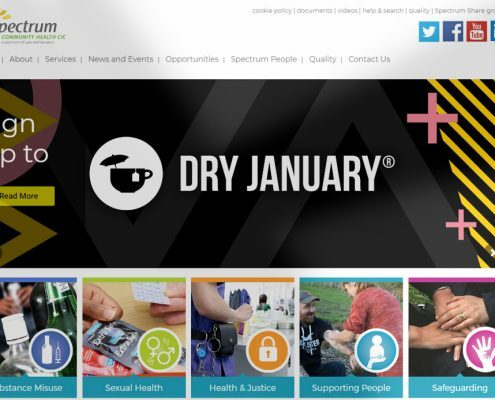 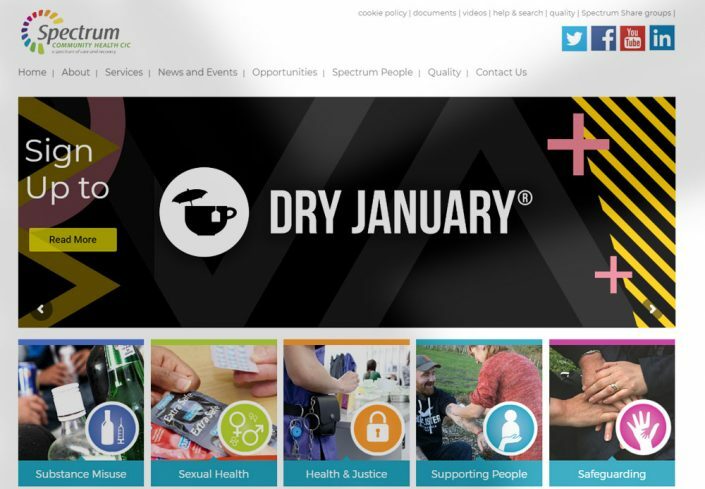 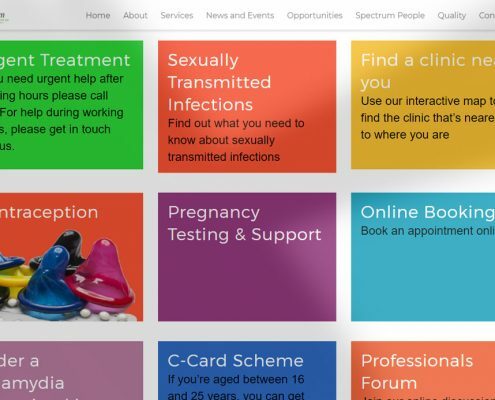 Spectrum Community Health CIC are a leading social enterprise who deliver a range of community and offender healthcare services on behalf of the NHS, Local Authority Public Health Services and partners in the Prison and other secure environments services. 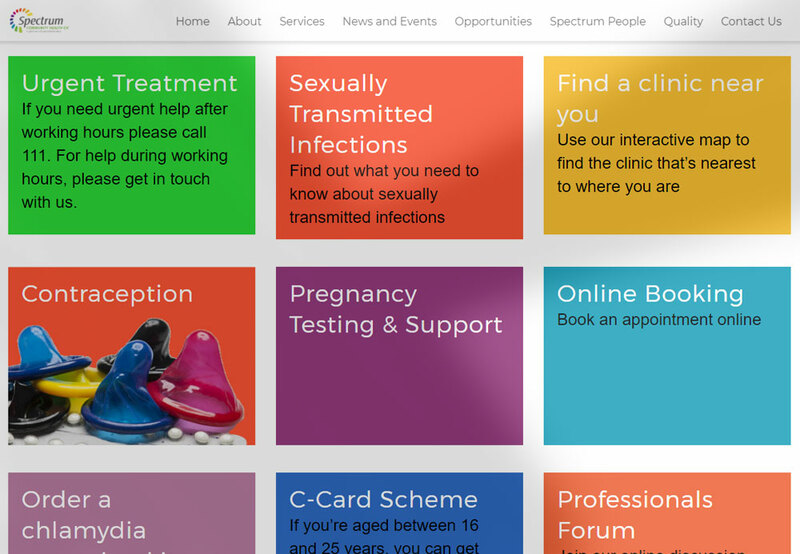 Bluehoop Digital developed a website which appeals to the Spectrum Community Health user group with a bright and appealing design, but which also contains complex functionality such as Secure User Group Forums, secure Contraception and Chlamydia Screening Kit Ordering Facilities and easy to use video embedding. 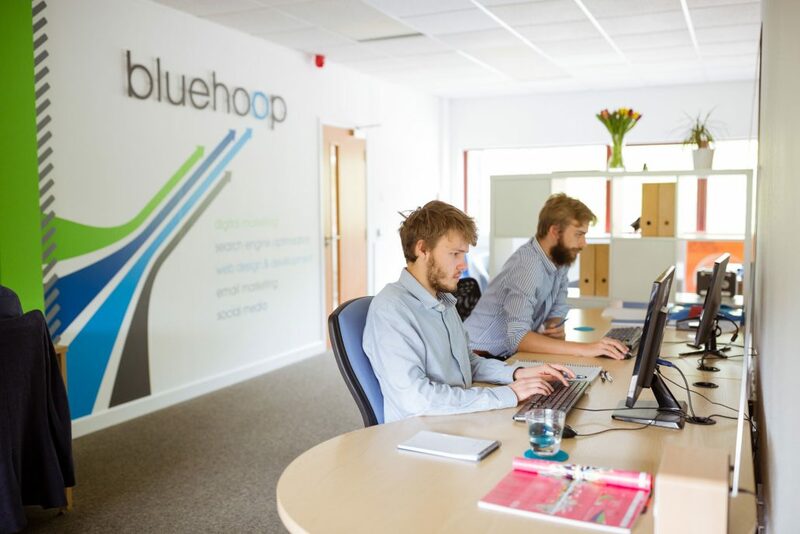 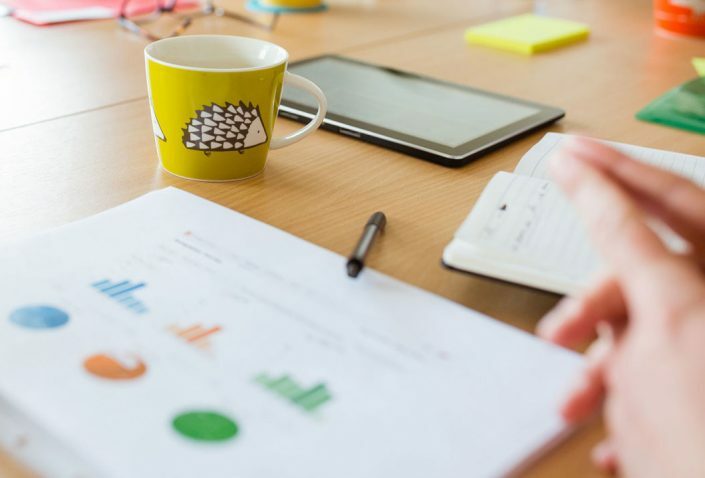 Bluehoop Digital have provided a robust online environment within which complex and confidential information can be shared within different user groups and be assured that the content they share is entirely hidden from non group members. 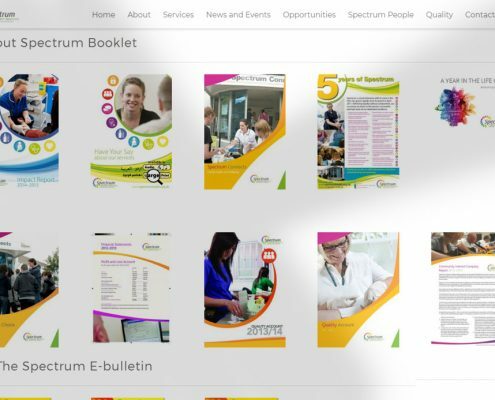 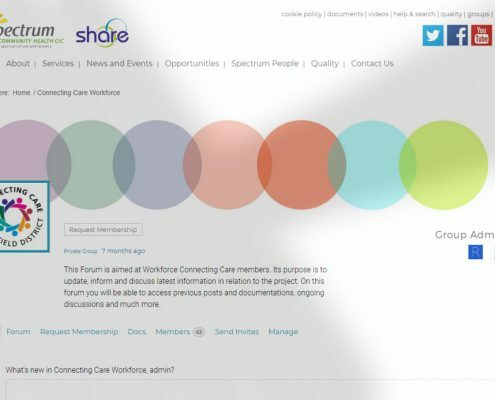 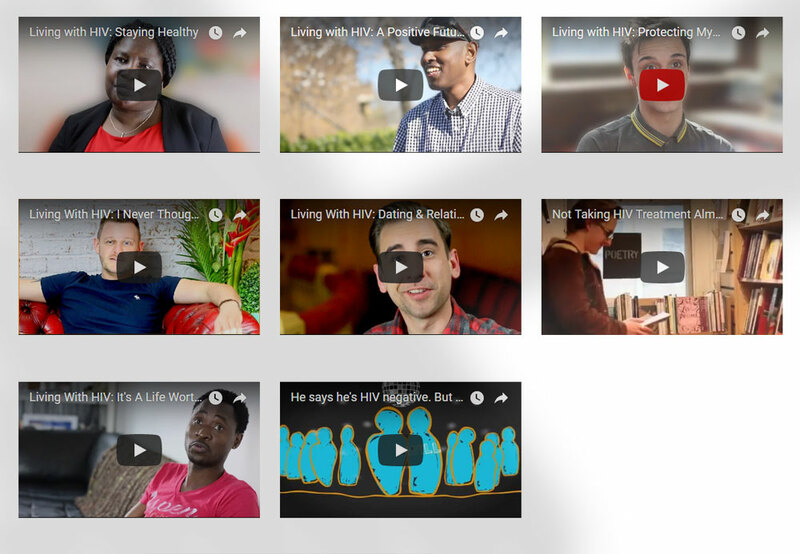 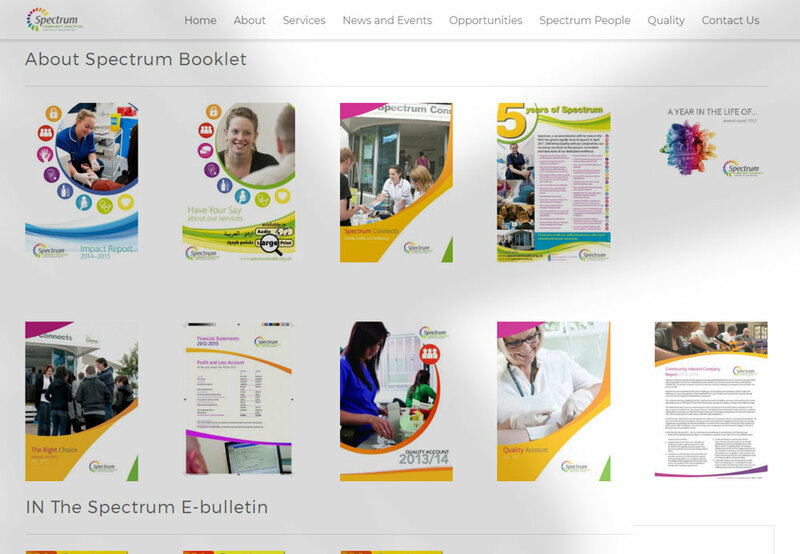 This way, the Secure User Group Forums installed on the website allow Spectrum Community Health to ‘onboard’ new working partners and for the group to share documents, video and information amongst themselves in a highly confidential manner. 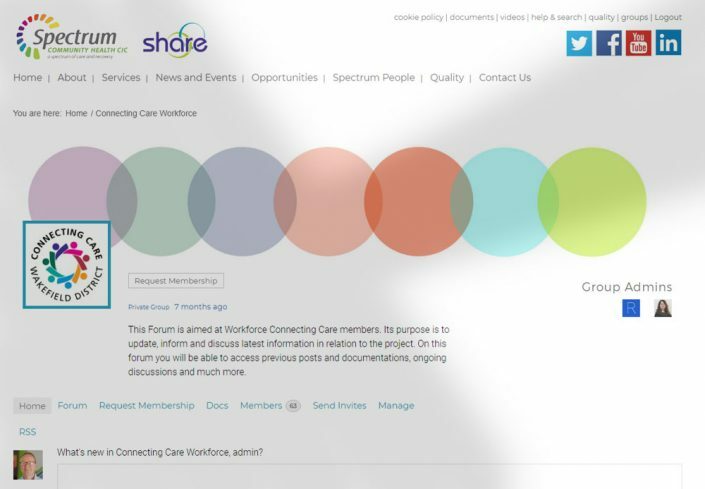 How did we help Spectrum Health?